The Mountains Are Calling. 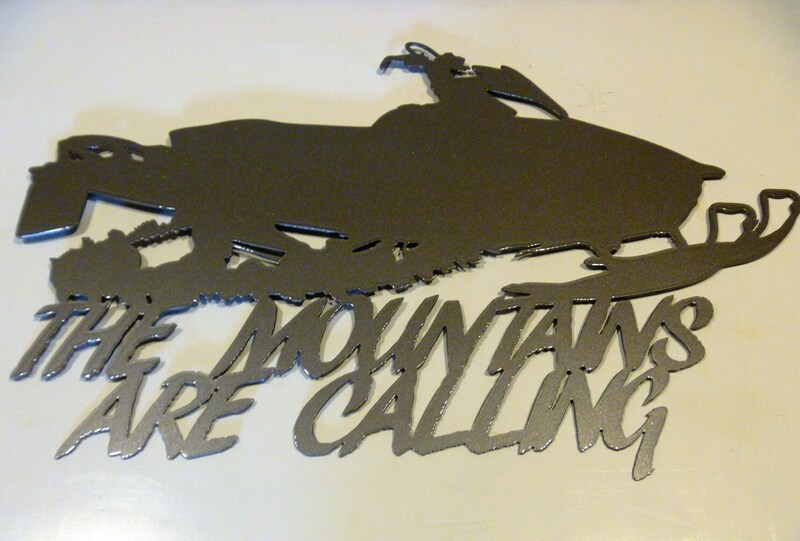 Metal Sign for the Snowmobiler's heart! Snowmobile sign is cut from steel about as thick as a nickel. 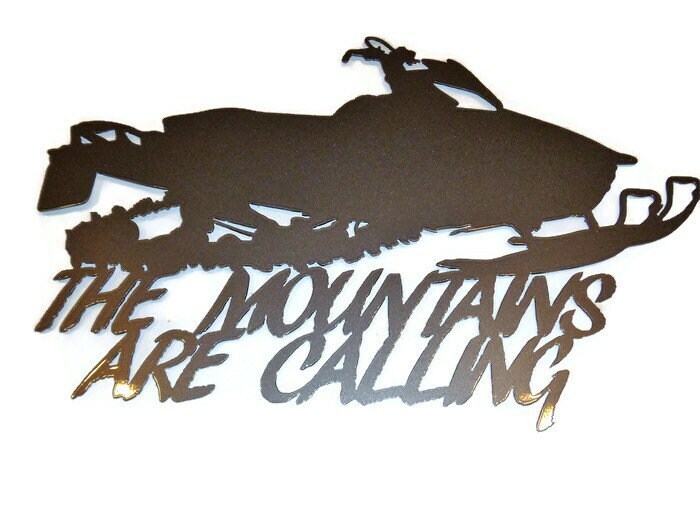 Sign is great for display indoors or out. Coated with high quality powder coat, so it will not peel or fade like spray paint! This beautiful sign is 22" wide. It's ready to display in your man cave or the garage! 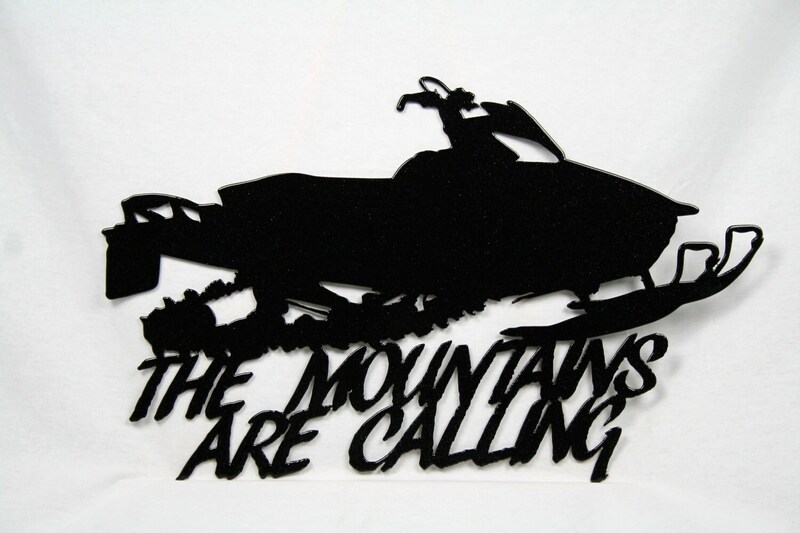 Sign is available in several colors including prismatic automotive paint for the authentic snowmobile paint job. 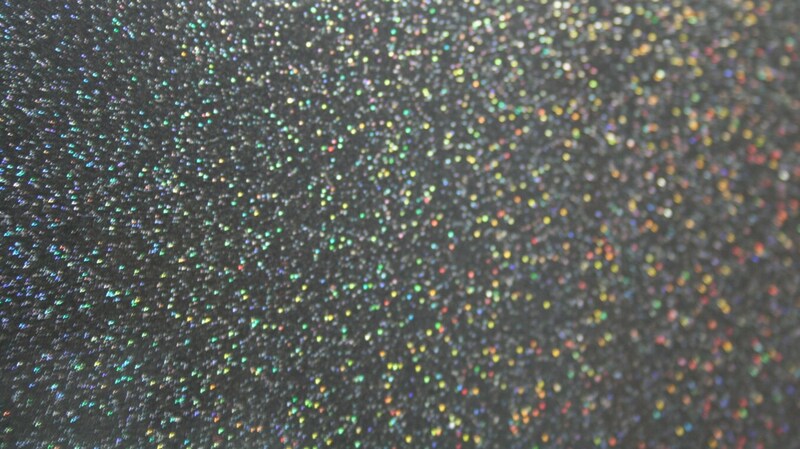 Prismatic paint is nearly impossible to photograph! Check out the final photo for a close-up of the finish. 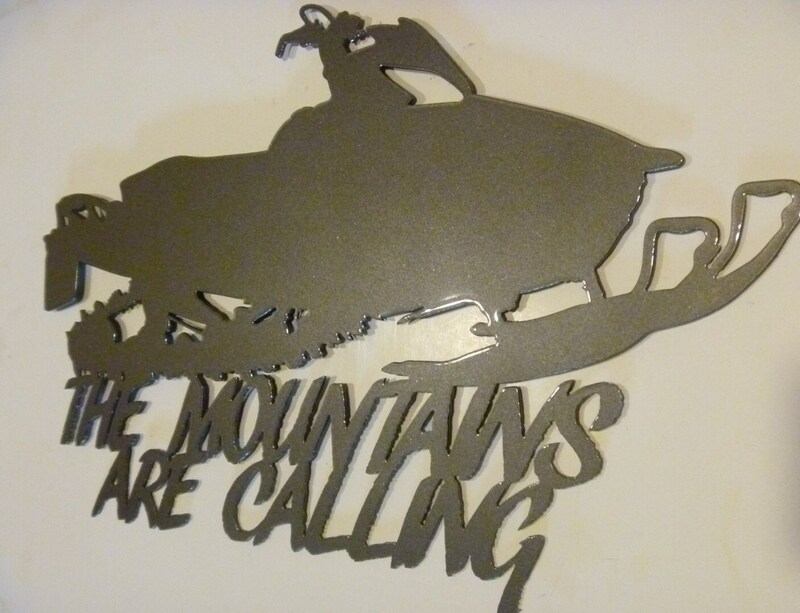 We hope you'll love our snowmobile sign as much as we loved creating it!